Excitement comes with the change of seasons from warm to cool, as leaves start falling and the bright colors really start to come out. The air starts becoming cooler and the evenings longer, meaning that we’ll be cozying up on the sofa with a hot beverage. However, cool weather can also bring about unwanted visitors such as viruses and germs, and our immune system needs to be ready. Your diet plays a part in strengthening your immune system. A truly healthy immune system depends on a balanced mix of vitamins and minerals over time, plus normal sleep patterns and a hefty dose of exercise. With some exceptions, it’s best to get your vitamins and minerals from your food rather than in pill form. We know that fresh fruits – especially citric fruits – play an important role in providing our immune system with much-needed Vitamin C. Unfortunately, Moscow lacks good quality fresh fruits in the autumn and winter months. Alternatively, many nutritionists advise you to get vitamins and minerals essential for our immune system from fish and seafood: Vitamin B6 from cold-water fish such as tuna, Vitamin D from fatty fish (salmon, mackerel, tuna and sardines), Iron from haddock, flounder, cod or halibut, Selenium from tuna or sardines), Zinc from oysters or crab and so on. 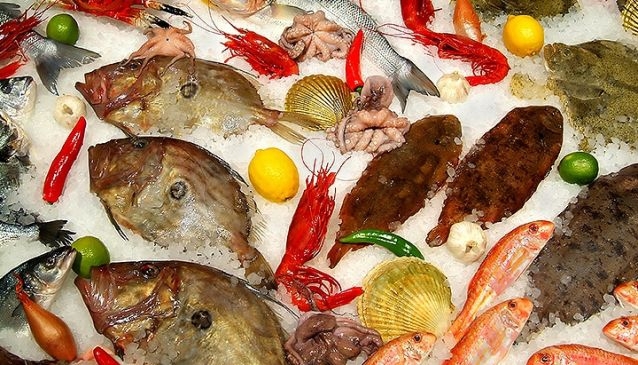 Luckily, in the past few years Russia’s capital has seen the opening of many restaurants that serve up good quality and more affordable fish and seafood all with a very nice ambience to make taking care of a health a pleasant affair! My Guide presents a list of some of the fishiest and yummiest spots in town to suit all budgets. La Maree is a chain of three fish restaurants – two are situated in central Moscow while the other on the Rublyovo-Uspensky highway in Zhukovka. As the main supplier of fish and seafood to Moscow restaurants and shops, La Maree naturally uses the most stringent quality standards for their own restaurants. In all the restaurants with the La Maree chain, you will find a wide assortment of the best fresh fish and seafood imported to Russia daily from France, Italy, Norway, England, Tunisia and Morocco. In addition to the delicious meals in the La Maree restaurants, they also have a fish shop which is an integral part of the restaurant. Porto Maltese is a chain of Adriatic-style fish restaurants, with several spots in Moscow. The venue specializes in dishes made from the finest fish and seafood, as well as cuisine from Serbia and Montenegro, Croatia and Slovenia. The décor has a strong sea-faring flavor, matching a menu which offers more than 20 different types of fish and seafood – all of which are regularly flown in direct from the Med. The ‘buzare’ fish soup is regarded as classic warmer, while exotic offerings include swordfish and skate wings as well as all the usual fishy favorites. Visitors can also select the fish themselves and then observe the entire preparation process. Porto Maltese offers a welcome change of direction in a city where fish so often means sushi. 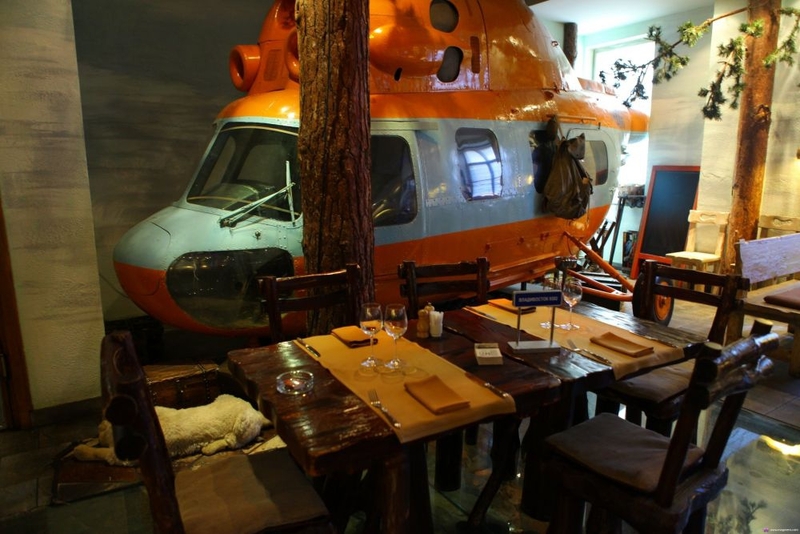 Expedition is a restaurant representing the incredible and vast culinary traditions of Siberia in the heart of Moscow. The story behind this restaurant is as interesting as its menu. A few men started on an expedition to the Far North of Russia. They were very far away from the nearest settlement, as they waited for a helicopter to bring them back to their city lives. However, it never came...the fight for survival began. The natives they met from this Polar region helped them survive and taught them local folklore and traditions. The men vowed that if they ever make it back to Moscow, they would create a place that emulates the life and the cuisine of the people that they had met in the North of Russia. Holding true to their promise, the founders of Expedition present fresh - flown and/or shipped directly to the restaurant - fish from the pure Arctic waters or Lake Baikal, as well as game meats from the forests and hand-picked wild berries from the Siberian lands. Try delicacies like Omul (arctic cisco) cold-smoked or light-salted with boiled potatoes, Omul from Baikal marinated with onions (made according to the recipe from Lystvyanka village), light-salted coho salmon (red salmon) with boiled potatoes. Other fine seafood dining experiences are offered at restaurants like Market, Rybniy Bazaar and Rybka. Filimonova & Yankel is the first chain of fish-houses in Moscow where people eat fish and seafood as everyday healthy and fresh food. The good people at Filimonova & Yankel know all about fish, looking after the quality and freshness of raw seafood (every morning restaurant gets fresh fish from checked out and the best global suppliers) and then cooking it in the most delicious way possible. Attentive waiters can help you in choosing exactly the meal you like and knowledgeable sommeliers can recommend you the best wine to accompany what you’ve chosen. Boston Seafood & Bar made a big bang on Moscow’s restaurant scene when it opened its doors in 2013. 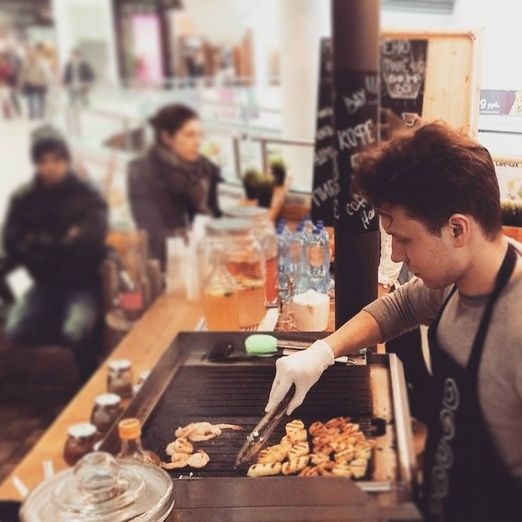 Anton Lyalina and Kirill Martinenko – the masterminds behind Torro Grill - proved that seafood in Moscow can and should be available to all at normal prices. 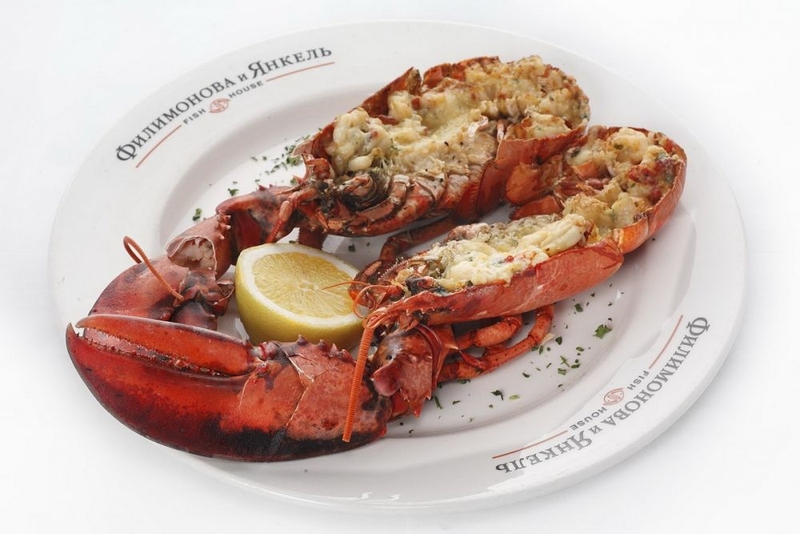 Having traveled halfway across the world in search of original seafood recipes, the duo dreamt up Boston Seafood & Bar, borrowing from the best culinary traditions of New England and serving up creatively prepared lobster, shrimp and crab amongst a whole host of others, just around the corner from the Belorusskaya metro station. What is most surprising about Boston is not the variety and selection, but the portions and perhaps most importantly, the prices. Whether you want a bowl of shrimp or a whole Canadian lobster, it won’t be at any great cost to your wallet. 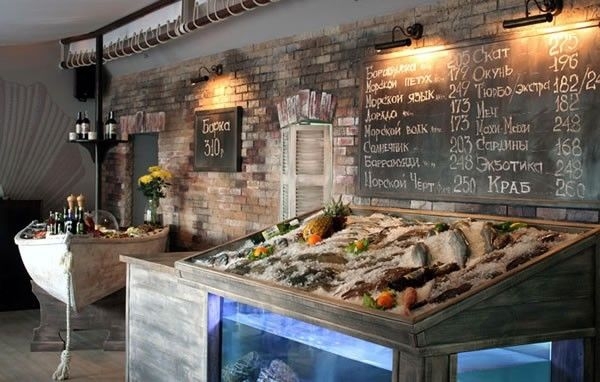 Fish lovers will find a cool, calming haven in Gastronomica Fish located a pleasant stroll away from Leninsky Prospekt metro station that will help you work up your appetite. This is definitely one of the best fish restaurants in Moscow – especially in terms of the price to quality ratio. On the main menu you can find delicacies like Chilean sea bass, turbot and sole to choose from, as well as the closer to home trout and salmon, all of which can be cooked any number of ways from baked in a coal stove to steamed with wine - delicious! There's also a good range of seafood based salads, soups, pastas and risottos, as well as mouthwatering mussels to start. Additionally, Gastronomica’s business lunches range from $10 to $17 depending on whether you want just a soup and salad or you’re feeling really hungry and want all three courses and a drink. Though not specializing in seafood specifically, I Like Wine and its sibling restaurant Beer & Brut boast some imaginative fish dishes on their menus. Beer & Brut is a newcomer on Moscow’s fine but casual dining scene. A loft-like space situated in an old mansion in the heart of the city, B&B creates a pleasant atmosphere for serious people who don’t take themselves too seriously. The menu boasts a refreshing price to quality ratio, with a wide range of mouth-watering dishes to perfectly complement both beer and wine. Their fish specialties include sea bass and strawberry tartare, charcoal bruschetta with tuna, trout and pak choi pizza, hearty seafood risotto and the very original sea bass and trout khinkali. I Like Wine is a comfortable place to hang out, catch up on a few emails and grab a coffee during the day and then really comes alive in the evening. As the name suggests, it prides itself on an extensive wine list, and the bare brickwork giving it a gently hipsterish feel. Some interesting fish and seafood dishes on the menu are prawn, baked aubergine and feta bruschetta, tuna tartare and raw scallop salad. Bar Port in the “Legenda” business center near Trubnaya metro station may be hard to find at first, but it’s certainly difficult to forget thanks to the delightful fish and seafood menu concocted by Italian chef Calogero Interrante that includes Mediterranean oysters, wild fish tartares and carpaccios, pastas and risottos, sautees, grilled fish and more. And, as of course tradition in most Moscow restaurants, the menu includes an extensive sushi and sashimi menu. Having first made some serious waves in the food truck scene, Maria Maximenko and Ksenya Alexeeva went on to turn their Crabs Are Coming into a proper eatery without wheels. The food is not extremely complex but it is very tasty. Crab wraps, sandwiches, rangoons and buns provide a healthy and delectable bite on the go. Shrimps Happens is a fun little street food option if you’re having a day out in VDNKh and are looking for something shrimpy, quick and affordable. The most popular dish is the shrimp box, which is big enough to qualify itself as a full meal for one adult. Other items on the not so big menu include Northern Pike burgers and even borsch!